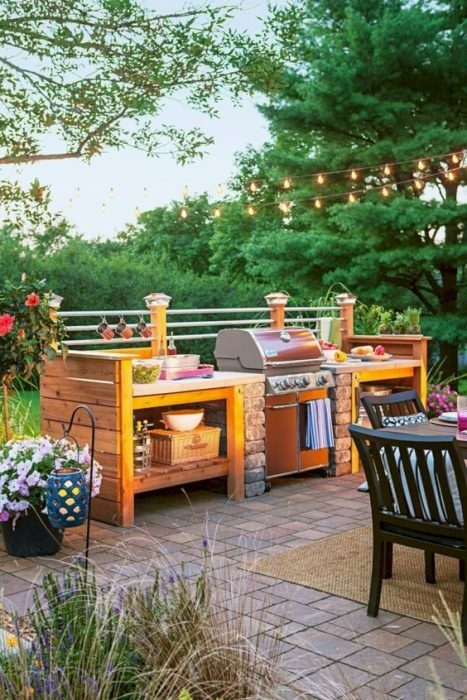 Outdoor Kitchen Ideas – Do you have any unused or free space around your backyard? If it is so, think about creating an outdoor kitchen there. 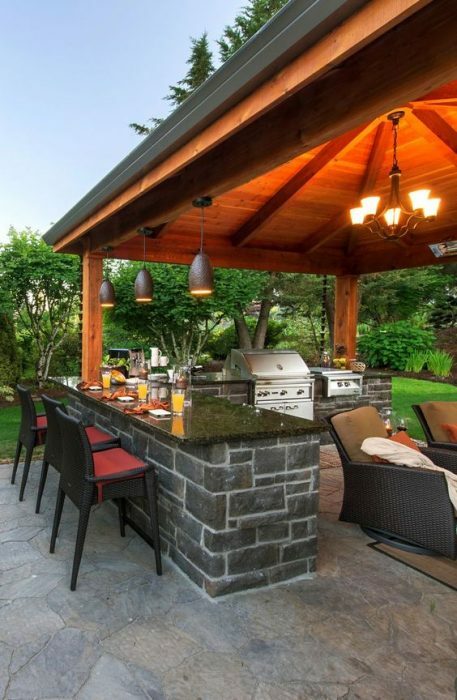 Outdoor kitchen can give you lot of benefits. First of all, if your friend or family visits your house, and you don’t have enough space in your house where they can have fun, you can ask them to your backyard. 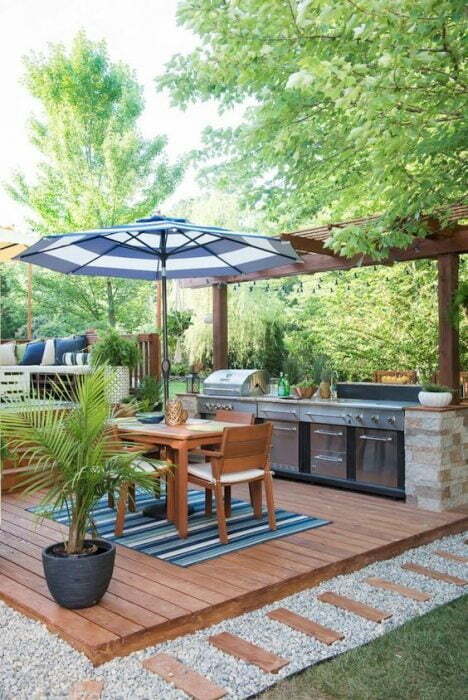 And, with outdoor kitchen located in your backyard, you can easily prepare food for them. 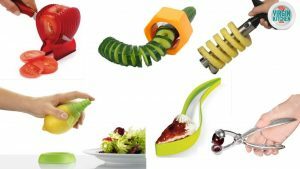 More than that, you also can cook anything with strong smell, like steak or BBQ, without worrying the odor will go into your house and room. 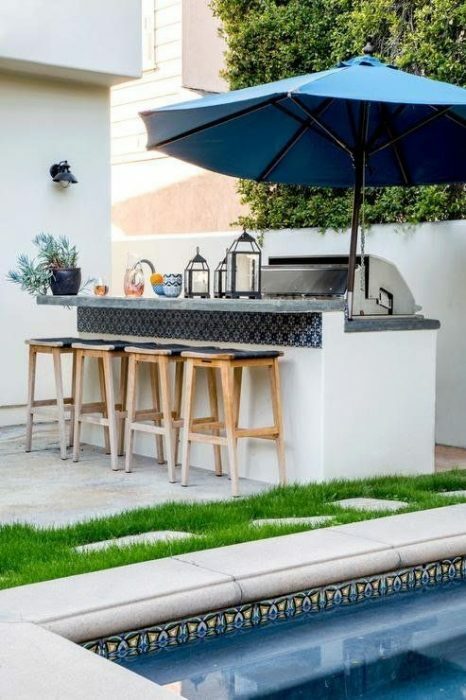 So, with all of those benefits, you can try to create this outdoor kitchen and have fun with it. The list ofoutdoor kitchen ideas below helps you to decorate and manage the space into a cool outdoor kitchen. Let’s take a look! Open space offers amazing scenery. Just use it as the background the kitchen. To get more natural atmosphere, you can also choose some close to nature materials. Start by choosing ceramic kitchen table because of its great abstract texture. Ceramic material tend to create chilly ambient and also easy to clean. Then, you can add some more such as stones and wood. 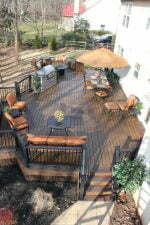 Wood is perfect for the deck of the kitchen. 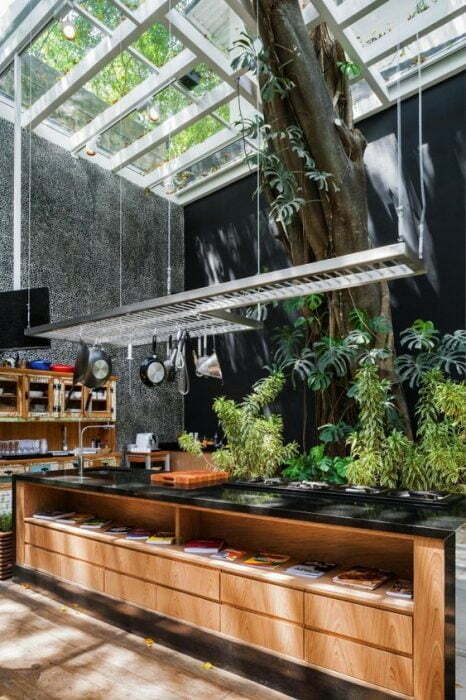 Balance it with stainless steel kitchen appliances and some real plants. Do you want to have a bar at home? 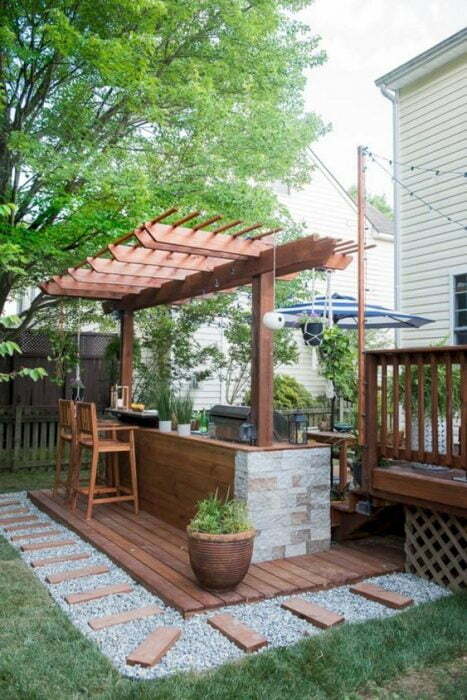 Just a bar outdoor kitchen idea here is perfect. Prepare a patio to cover up the kitchen. 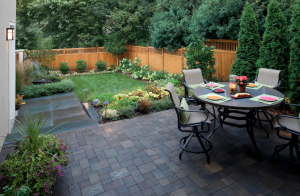 Then, use stone and ceramic to separate the space between the garden and the kitchen. 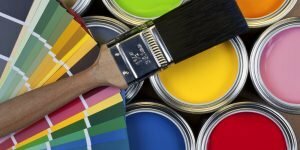 For the color, you may use natural color such as grey for the kitchen table and wooden color for the patio. Put a black stove and grill will make your outdoor kitchen looks elegant. Don’t forget to install small lamps such as blue light lamps around the kitchen table and yellow light lamps on the patio. 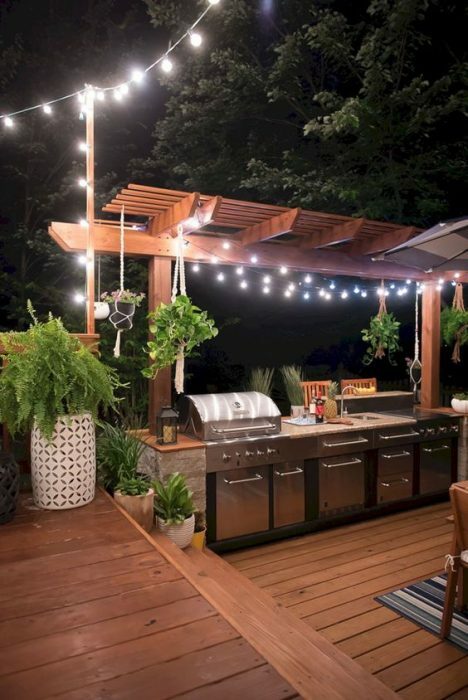 You can use a small outdoor space at home to create a romantic outdoor kitchen. Get the warm ambient by using wooden bars for the kitchen table. You may also use stones separate between the oven and stove with the kitchen cabinets. To make everything simple, just apply no door kitchen cabinets. Apply a rattan or bamboo rug as the separator between the dining table and the kitchen. Put some flowers or plants around. 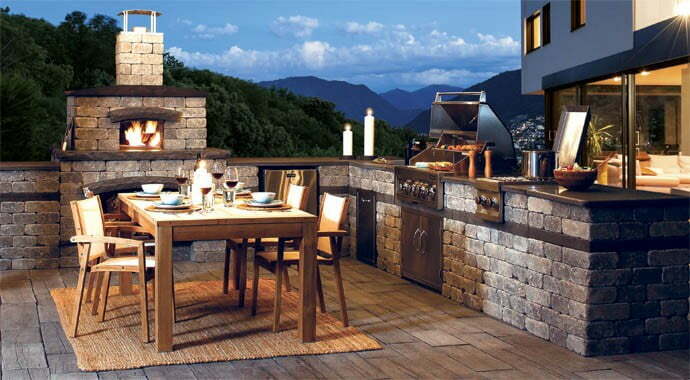 Now, you have a romantic outdoor kitchen for a romantic dinner. 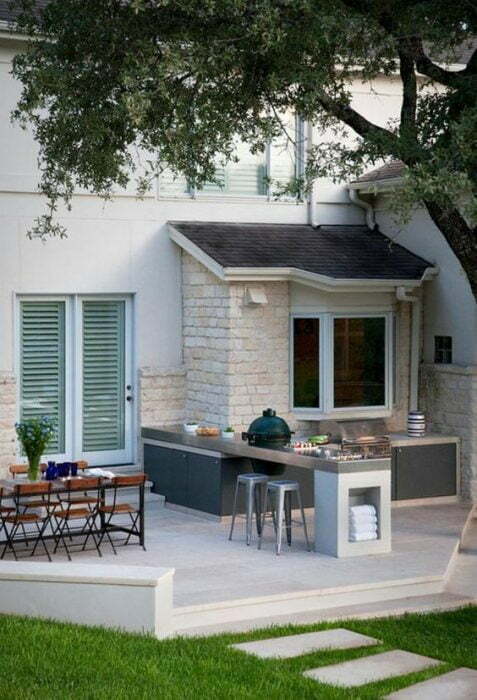 Small space is not a matter because you still able to have an outdoor kitchen. Separate the kitchen area and the yard with wooden deck and gravel. Then, use a rug with strong pattern and contrast color. Put the dining table there and use patio umbrella if you want. 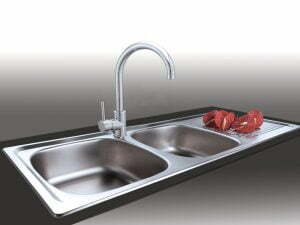 For the kitchen, put the most important kitchen appliances only such as stove, grill, oven, cabinets and faucet. Separate and protect those appliances with stone separator and cover up with a patio if it is necessary. Give a big plant in a pot if you want to add color and fresh condition. 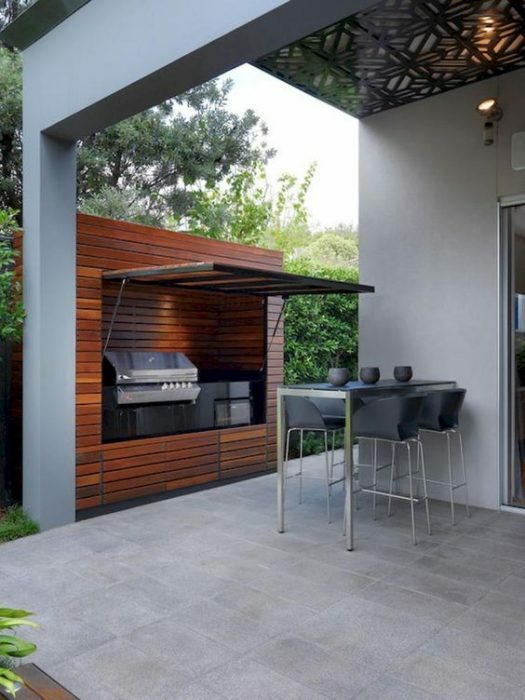 This is one of interesting outdoor kitchen ideas because you only have a small free space. You don’t need to worry because an outdoor kitchen with brick material or solid material is perfect. Just make it as simple as you can by putting a grilling machine, stove, and kitchen cabinet. Use neutral color such as white and blue to create comfortable area. 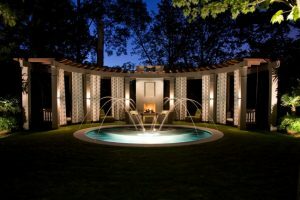 You may also add a big patio umbrella, lounge chairs, plants, and chandeliers. You will have an outdoor kitchen bar and you can use it before and after swimming. Just use an open space around your classical house as an outdoor kitchen area. Take some simples appliances such as square kitchen cabinets made of solid material and long rectangle kitchen table. You may apply some soft colors including the combination between white and gray. For the dining area, use a rectangle table with small iron frames. Add some accessories such as wooden director’s chairs, flowers in a glass vase, and bar chairs. Then, feel the calm and relaxing ambient from the classical kitchen. 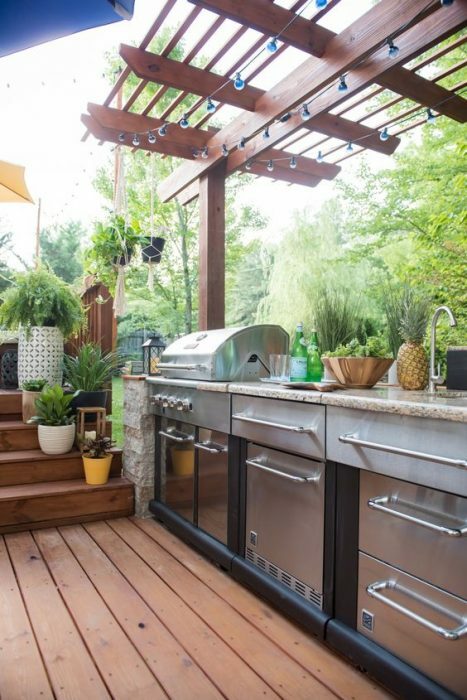 For those who have a large patio space, you can consider designing a Japanese outdoor kitchen. Solid wood kitchen table along with kitchen cabinets with wooden door is a perfect option for Japanese style kitchen. Combine it with a solid material for the separators. The combination between light chocolate, gray, yellow lamps, and black create cozy atmosphere and definitely Japanese look like kitchen style. Modern design is always simple, stylish, and unique. 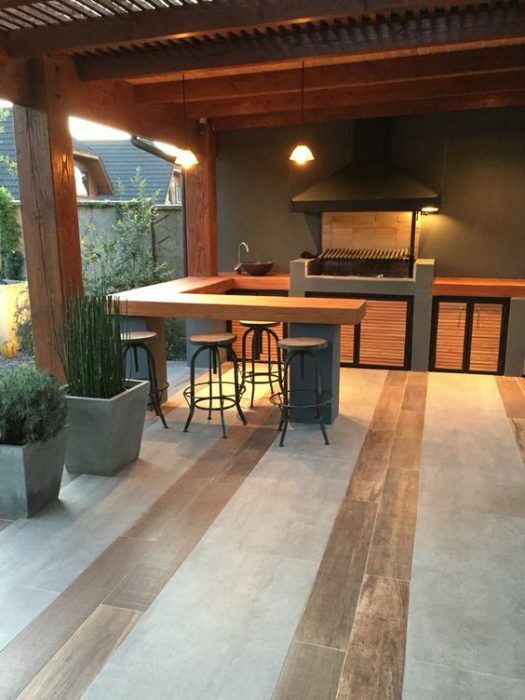 For a unique modern outdoor kitchen, you may create a cube wooden space along with a door in front of them. 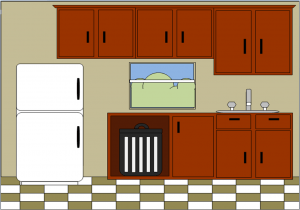 Put the kitchen appliances such as stove and grill. For the dining space, just use small or medium size table along with high frame. Make it complete with bar stools. It’s simple and unique because you can remove the kitchen easily. Close the door of the cube and the kitchen will be gone!. Pattern is great to make your room fresher and interesting. You can also apply pattern for the outdoor kitchen. 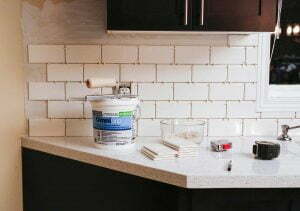 Try to apply patterned tiles or backsplash for the kitchen. Soft and bright color backsplash is a perfect option. You may also combine it with wooden kitchen cabinets because this material also has unique pattern and texture. The pattern is also useful to separate the spaces on the kitchen as well as the kitchen and the dining area. Stone creates strong and solid ambient in the kitchen. Just use stone for the kitchen table and combine it with ceramic. Aluminum kitchen set or appliance can be used to create warmness. You can also apply stone tile with different pattern to richness the texture. This idea is perfect if you have a large space outdoor patio at home. For the sitting area, just put some rattan armchairs whether for the dining area and the bar area. Install contemporary chandelier and hanging lamps with yellow light. Indeed, you will have a warm outdoor and you might want to relax yourself there! White is chosen because it is easy to mix and match with any kind of materials. 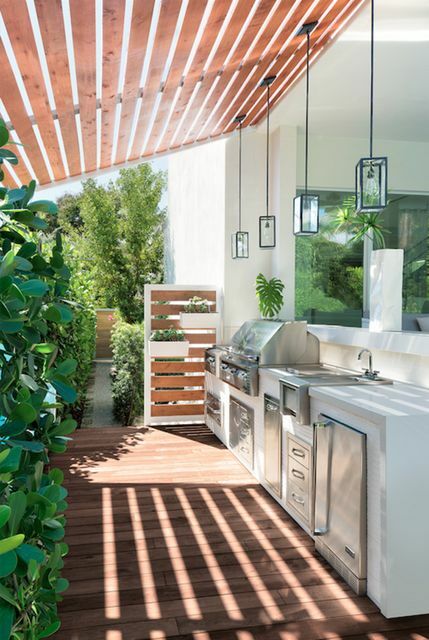 For this white outdoor kitchen, you may combine it with stainless steel kitchen appliances to give metallic color. 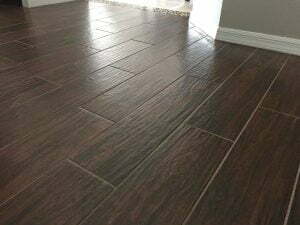 You can get the contrast color by installing wooden flooring. Just cover up the area with wooden ceiling to keep it comfortable even in the hot weather but you still get light from the sunlight. Add some hanging lamps with glass lampshade and green plants. This combination makes you have a fresh and warm cooking area. Traditional home design mostly inspired by nature. 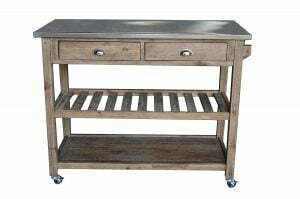 If you want to create traditional outdoor kitchen, just prepare some wooden materials including for the tables, chairs, and cabinets. Let the solid material without painting to feel the natural sensation. Put hanging kitchen shelf on the solid material wall to feel the empty space. You may also put some plants and hanging lamps with bell lampshade and yellow light. It’s simple and super comfortable for those who love to apply traditional home design. Stall kitchen design is also popular design due to its fun atmosphere. To create this type of design, you can prepare wooden deck for the floor and wooden patio for the kitchen. You may put some plants around the kitchen area and hanging plants on the patio. 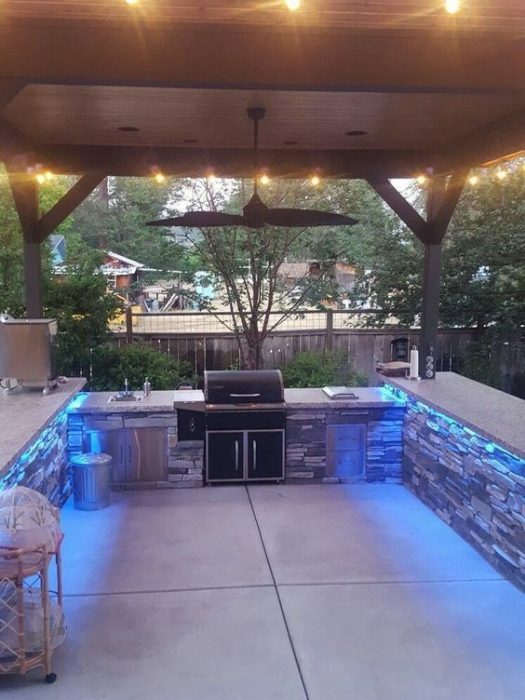 To make the kitchen looks like a stall you may hang flip flop lights around the patio. That’s it! You may cook the order from your friends or family and serve it just like what you see on your favorite stalls. 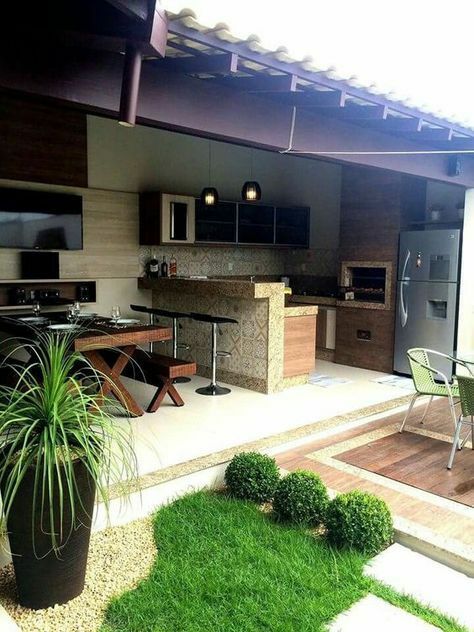 Small area is not a problem to create comfortable outdoor kitchen. Just use wooden deck, gravel, and wooden bars for the footpath. You can also choose wooden kitchen table and patio cover along with stone to make the kitchen looks strong and solid. Don’t forget to put some bar stools with backrest with similar material. 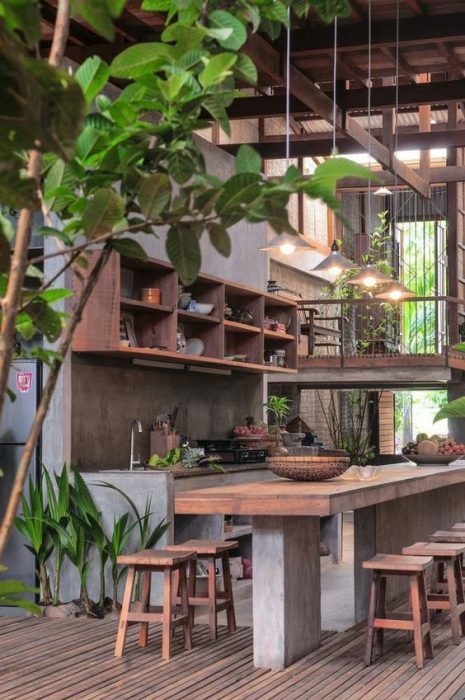 The wooden deck, gravel, and wooden footpath create space to separate the kitchen area and the garden area. It looks small but comfortable enough for spending free time. You don’t need to cut your favorite old trees. It might inspire you to build an outdoor kitchen there. Start by putting wooden kitchen cabinets. For you reference, you can apply kitchen cabinets with glass door so you can see everything clearly.